So, as many of you know, I began this journey of "Adventures in Types and Seasons" dating back to 2011. It was Jeannine Byers's ad or link on Facebook which was an affiliate program at the time. I had discovered Dressing Your Truth and was totally enthralled by it. I watched through all the videos, profiled myself as a tough tie between Type 1 and Type 2, based on my facial profile and body language. But I couldn't decide which was the dominant expression in me. Since, I have already blogged in detail about why I'm stopping my DYT T4 looks, I will keep this part of the story short. In short, I had spent a lot of my money shopping to buy each type of look, but I couldn't arrive at a conclusive Type. I did get help from the DYT team, but I live out here in Korea and I couldn't get to the Energy Dressing that they offered. I happen to be an ENTP in the Myers Briggs Type Indicator system, and the two letters in the middle NT stands for someone who is an intuitive & a Thinker. We're also known as the Rationals. So, naturally, I wanted a system where I would know myself on a metric basis. 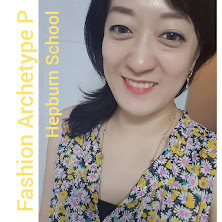 And after surveying all of the available fashion & image related services that was available to me in English speaking countries, Korea, and Japan, I realized that as yet, there was no conclusive Identity Assessment given in the fashion field. Well. As God would have me in luck, my father who is a Business & Life Coach called me up asking me if I would like to take a course given by his friend, Master Hur. The course was called Adler Identity Coaching and there were 3 levels to it. I enrolled and I was so blown away by a quiz my Master gave me. It was a metric based questionnaire, and I found out that among the 4 types, I was the Pleasure and Pleasing Seeking Identity dominant with a supporting Superiority Seeking Identity. I tested my sister and she came out Control and Management Seeking Identity dominant with a supportive Comfort Seeking Identity. I read her the descriptions and what the type prefers and hates, and she said it was eerily accurate! After I found out my Adler Identity type, I was actually shocked and numb in my brain for like a month though because I had thought of myself differently. I thought I was a Superiority Seeking identity based on how competitive and driven I was since I was a young girl. As I kept testing this out on everyone I met last year, it became apparent that what was happening to me was the norm. Most people that received their Adler Identity reported back to me saying that they consciously thought they were their secondary identity type! The primary identity type is so largely Unconscious for all of us, that it goes unchecked! We forget who we are in the bigger sense!!! In my case, I had to examine what this information meant to me. Having thought of myself as a Race Horse, I had to see what had driven me to be that way. And it was this. I was a pleaser. I wanted my parents' love and approval so much, and I wanted to please them so much, and because what they wanted me to be was to be was what most Asian parents typically want, a Good Daughter who gets good grades and wins competitions. And then I thought of how actually this made sense. Even though, I do have competitiveness in me, that was not my dominant nature. I was a Pleaser & Pleasure Seeking Identity, and that is what motivated me to be so competitive! It shed light on my adult years too; after my parents' approval became less of an issue for me, I felt like I was drifting in my life. I couldn't survive all the office politics in the corporate advertising world. This Conscious/Unconscious Self is really interesting. One of my clients who is a super saleswoman at Samsung Insurance who wins MVP awards all the time, she tested as the opposite of what I got. She was a Superiority Seeking Dominant with a secondary Pleasure Seeking Identity. But all her life, she believed she was more of her secondary type, and she spoke and dressed that way. When you looked at her professional life though, it was clear without a doubt that her main identity is the Superiority Seeking Identity. Now, being the Superiority Seeking Type, she paid little attention to grooming because she's always on the go. So she never learned how to do her makeup, she didn't know how to line her eyes, so we got her to try it out. We dressed her in all the right design elements & had a mini photo shoot. She really looked hot & professional, and we had so much fun! I got her some speedy makeup goodies she could use on her commute, and she's become more skillful in applying them now~! For most clients, the Adler Identity Assessment gives a clear picture of their Primary and Secondary Identity. But in order to be sure, we do have a session that revisits your Early Memories. This gives us a more concrete look at how your motivations in life were formed, and how this has shaped you into how you operate NOW. In Adler Identity Coaching, the sessions are given in one on one or group setting. The families that have done it as a group seems to have benefited the most because there is so much vulnerability and discovery in the process. We had a highschool girl who needed some career counseling and the changes that she was going through led to a family coaching session where the mother who was hurting the family without knowing, but the family got to see where the pain had sprung from. And it was actually an experience that was lodged into her Unconscious at a very early age. I guess for me the most intimate moment was when I had the conversation with my mother. My mom's questionnaire result seemed to be a fit for how she wanted to be now, but we wanted to be sure, so we worked on her early memories. There had been a few issues that I tended to get into serious conflict with her growing up, and that day, as I listened to her 3 memories, it became clear where the conflict was. And as my mom said so herself, my mom shifted her identity to please my dad after marriage. And in later life, my mom often felt miserable and dissatisfied. She had lost track of who she really was. My mom's Adler Identity type is primarily Pleasing Seeking, with a secondary Control Seeking identity. As they are almost opposite ends of the spectrum, some of the desires that she has were difficult for me to understand. But once I knew the source of her identity, I felt more compassion towards her. And it became understandable. I will conclude with my Dad's assessment for today. My Dad is a practicing coach and he asked me to KonMari his wardrobe and home office. Initially, he said he wasn't interested anything fashion related, so I said, OK, I will just help him with the Zen style clearing thing for him that day. We were going through his winter knit wear pile, and I asked him which ones he actually wore, and which ones he didn't. And once we got talking about them, it naturally led to a discussion about this one knit top that he loves which was actually a very cheap find! He told me he would reach for that sweater time and time again. He had bought it without thinking too much at the time, but of all the sweaters he owns, this is the one that's easiest to put on for daily wear, and also the easiest to wash. Looking at his Adler Identity Scores though, it was just super clear to me. My Dad's assessment showed that he was a very high score for his Primary Identity as a Superiority Seeking person, with a secondary Control Seeking Identity. The sweater in question had the right colors and texture for Superiority Seeking type, with the stripe patterns going on that reflected his secondary identity! But that wasn't the end of it. He had a dozen silk shirts, all white, all pristine, all very expensive... and he NEVER wore them! He had held on to them because they were fine silk and cost a lot. After I explained to him that his identity would do better with a lightly textured weaves for shirts, he was able to let them all go. He sent them off to a younger friend in Jeju Island. All right. This is what I'll share for now. If you'd like to know more about figuring out your type, feel free to email me at jeeyoona@gmail.com. Cheers!